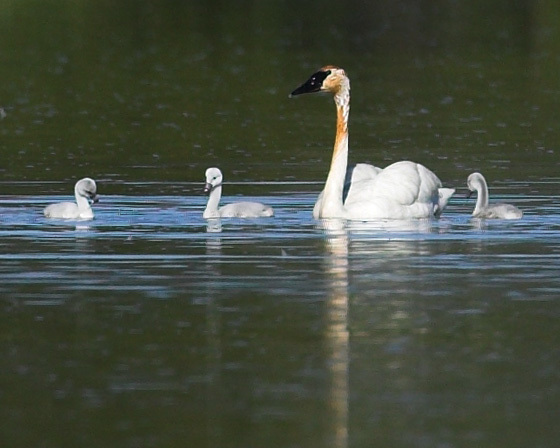 Closer look at the endangered Trumpeter Swan and Cygnets (see full picture above this one.) Red Rock Lakes National Wildlife Refuge, Montana, June 12, 2007. This is the largest swan of all the types of swans.